Want to make someone feel like they’re on a tropical honeymoon? 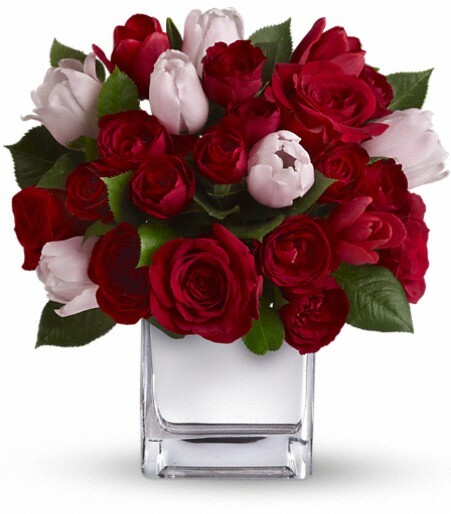 This romantic gift is the perfect choice. 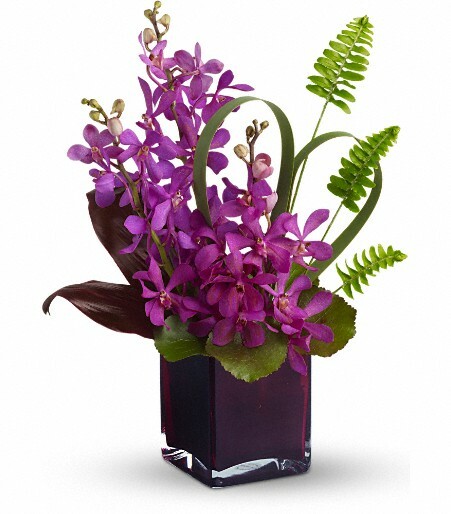 Exotic purple orchids and island greenery are arranged in a standout modern cube vase. 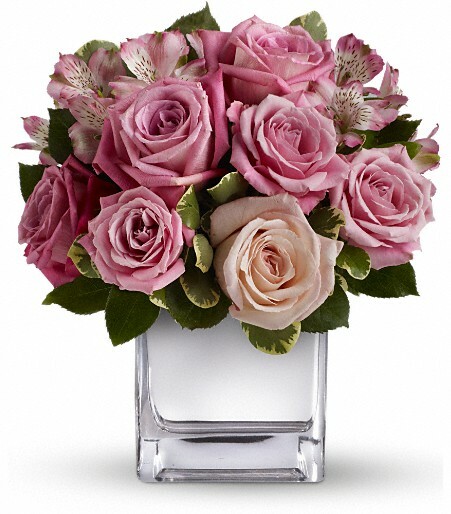 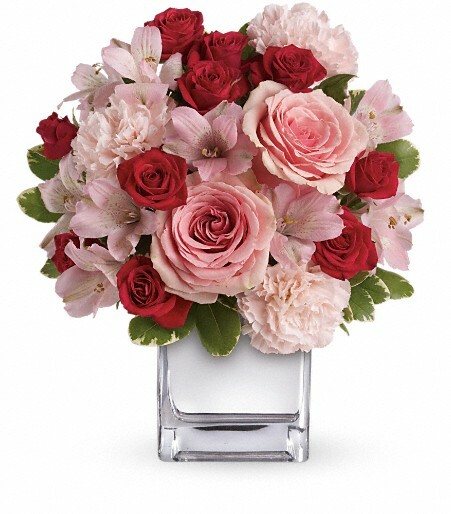 If you’re looking for a romantic gift with a whole lot of flower power, you’ve found it!